exercise of the wide powers under Article 226 of the Constitution of India. guardian of equal rights protection should not be forgotten. employment and seeking a fair opportunity for competing for employment? 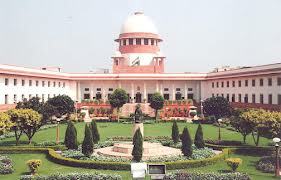 conflict that is reflected in these cases referred to the Constitution Bench. adopt is to make appointments based on the rules so framed. engaged, they are entitled to continue and should be directed to be absorbed. approached the Administrative Tribunal in the year 1997 with their claim. employed or for regularization. Thus, the applications filed were dismissed. considered for regularization in their posts. Ors. Vs. State of Karnataka and Ors. hand and State of Himachal Pradesh vs.
Five learned Judges (Constitution Bench). Bench of five learned Judges. the Chief Justice for appropriate orders." scheme and without following the requirements set down therein. a due process of selection as envisaged by the constitutional scheme. to the post or given the particular status." wages, temporarily or contractually, must be directed to be regularized. the High Courts to follow necessarily, the law thus laid down. Constitution, illegality cannot be regularized. manner which does not go to the root of the appointment. or it may have the effect of setting at naught the rules." concept and cannot be equated with regularization. Constitution and the laws made thereunder concerning public employment. when those employed temporarily are not needed permanently or regularly? of law. The role of the Supreme Court is to render justice according to law. taxation depending perhaps on the capacity of the payer. or decided. The distinction emphasized in R.N. NANJUNDAPPA Vs T.
have to disagree with it. course, to a law made by the appropriate legislature. indeed one of the directive principles of the Constitution. regular post and accordingly directs regularization. action on the part of the appointing authority. which case the pressing cause must be stated on the file. not run counter to the reservation policy of the State "
procedure should be made permanent. orders against the constitutional scheme of appointment. 22. In Director, Institute of Management Development, U.P. judgment of the High Court which had given relief to the appointee. of their services even if their working period ranged from one to two years. Court cannot direct that they be continued or absorbed elsewhere. appointment to a post according to the Rules." government service may arise in two contingencies. and regulations governing such recruitment." these 6000 initial entrants were drafted in the scheme." effect, after discussing the constitutional scheme for public employment. not mean that they had acquired a right for regularization. quoted with approval the observations of Farewell, L.J. in Latham vs.
Richard Johnson & Nephew Ltd. (1913 (1) KB 398)"
sympathy with the infant plaintiff to affect our judgment. guide in the search for legal principles." contravention of a statutory provision." give permanence to an employee whose services are ad hoc in nature. only necessary to refer to one or two of the recent decisions in this context. for regularization. This view was reiterated in State of Karnataka vs.
KGSD Canteen Employees Welfare Association (JT 2006 (1) SC 84). employment in public offices. The words "employment"
Institute and others AIR 1984 SC 363)." Management of Bhurkunda Colliery of M/s Central Coalfields Ltd.
regularization or re-engagement or making them permanent. in Article 14 of which Article 16 (1) is a facet. This Court stated, "
652). Ray, J. (as he then was) also did so (para 886). on behalf of the Constitution Bench in Dr. D.C. Wadhwa & Ors. Vs.
upon the validity of such practice." to facilitate the bypassing of the constitutional and statutory mandates. or to be made permanent, based on their appointments or engagements. which would amount to perpetuating an illegality. equality of opportunity enshrined in Article 14 of the Constitution of India. Appeal Cases 374), National Buildings Construction Corpn. Vs. S.
and in concerned cases, in consultation with the Public Service Commission. contractual basis, to claim that they have a right to be absorbed in service. consistent with the requirements of Articles 14 and 16 of the Constitution. direction to make permanent all the persons employed on daily wages. the relevant rules or in adherence of Articles 14 and 16 of the Constitution. and the constitutional goal of equality. Article 21 of the Constitution. refusal to promote the writ petitioner therein as the Principal of a college. State has a legal duty to make them permanent. irregular appointments (not illegal appointments) as explained in S.V. NARAYANAPPA (supra), R.N. NANJUNDAPPA (supra), and B.N. duly appointed as per the constitutional scheme. what we have held herein, will stand denuded of their status as precedents. relief. These appeals have, therefore, to be dismissed. High Court is found unsustainable. dismissed. There will be no order as to costs.